Okay, there's something I should have mentioned before. I am a die hard advocate for the audience recordings. Didn't start out that way. I doubt any tape collector does. But I truly feel that tapes recorded by folks in the crowd capture a certain something that is lost on a soundboard tape, and that something is worth seeking out. It takes some acclamation of the ear, but you *can* get beyond the crowd noise, mic shuffling, and other assorted diversions and find yourself experiencing the band at a level higher from an audience recording. Really. At the turn of this century I ran a tape tree called the Audience Devotional Tree (ADT). It had about 140 people subscribed via an old Yahoo Group and I spent my time finding old AUD recordings and spreading them out into the digital circulation stream. The tree ran for 3 years and managed to help turn folks on to AUDs who might have dismissed them otherwise. There were about 20-odd rounds of the tree (20 plus shows), and I'm sure quite a few of these will be featured on this blog. All of these, and so many more, are easily downloaded from http://www.archive.org/, and details of all can be found at http://db.etree.org/ (you'll be wanting to bookmark that if you don't know of it already). As I once posted over on Dead Net Central, my desire to share the wonder of audience recordings is not so much an invitation to do battle with people who dislike them. More, it is an opportunity to open a door for folks who are destined to come in. 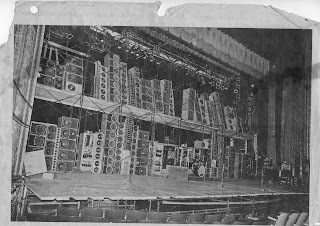 The seeding of the Grateful Dead Live at Grand Prix Racecourse on 1973-07-28 (July 28, 1973) was a triumph by this blogger. Check it out if you don't already have it! I'm with you on auds, you can't beat them imho. Thanks for this site. Very informative and a pleasure to read. I have been collecting for years and recently have begun to search out audience recordings. Took me a while to get to that point. The availability of of good audience recordings has helped that along. Once again, Thank you for this!!! !